If you want to give your smile a fresh new look with beautiful teeth implants, you must get acquainted with some of their benefits. In fact, people of all ages are now choosing them over dentures because they bring much more to the table. 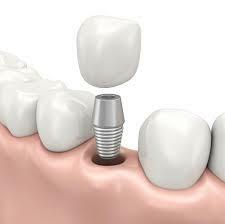 Read on to learn why patients adore dental implants in Melbourne. 1. The original tissue is maintained when you get implants; this is quite contrary to bridges where the surrounding tissue is cut into compromising the integrity of the gums. 2. People prefer them over dentures because they diminish the extent of weight on the rest of your standing pearly whites. The sturdy support they offer helps you maintain the adjacent teeth. 3. Loss of teeth or even the use of dentures for a prolonged period results in a reduction of jaw bone density. The gums will also be getting weaker, which is a trial you can elude with artificial teeth. 4.Dentures can be ill-fitting causing them to slip out and cause you a lot of embarrassment. Implants never pose such problems as they are permanent and entail no hassles of removal. 5. You never have to remove your teeth and undertake cleaning hassles. Simple, but routine brushing and flossing will suffice. 6. Once you undergo the procedure, it is unlikely that you will require any more work on the same teeth, as the implants last you several years. The availability of cheap dental implants in Melbourne has ensured that fewer people are choosing dentures each year, instead opting for durable artificial teeth as a brilliant solution.